Anxiety: A relatively permanent state or worry and/or nervousness. 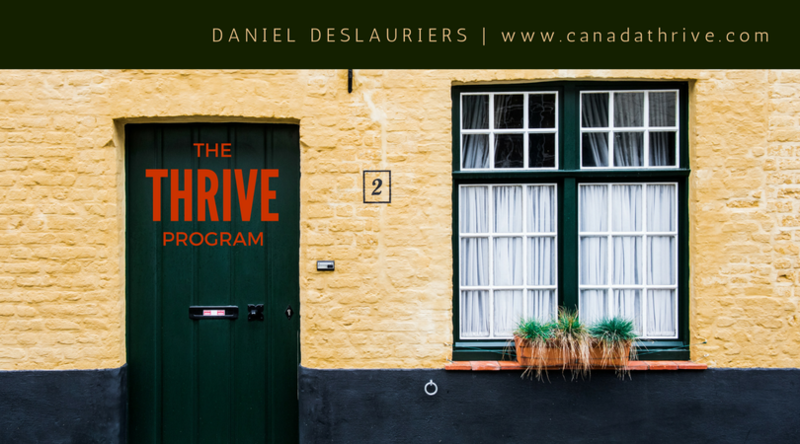 The specialized anxiety treatment practiced at the Toronto and Sudbury THRIVE Programme offers effective and permanent release of anxiety and anxiety related problems in as little as six weeks. View progamme layout here. Anxiety can manifest itself in a variety of ways including the formation of Phobias & Fears, Social Anxiety, Panic Attacks. To find out more about these specific symptoms, please click on their respective links in the top navigation bar. 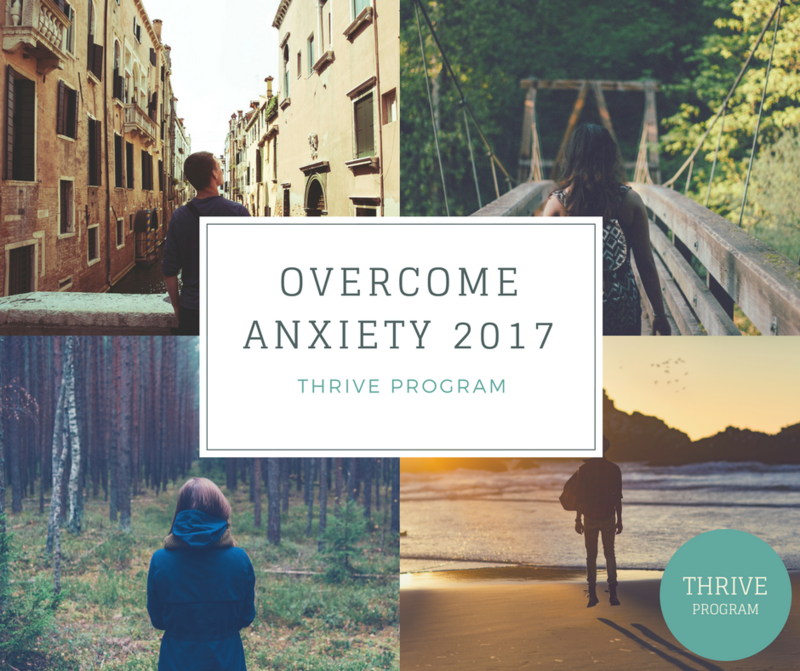 Unlike other therapies available, the THRIVE Programme gets to the root cause of your anxiety and the symptoms related to anxiety. Other therapeutic approaches may help you deal with your problem, see your problem differently, or ease the effects of your problem, but at the end of the day the root of your problem still exists and permanent release of your symptoms is unlikely. We humans do not like the unknown and the unknown reason behind our anxiety is no exception. As a result, our minds attempt to either relate our anxiety to something in the real world or symptoms are created. This could result in the formation of a phobia, compulsions, obsessions, bodily symptoms, etc..
To achieve permanent results we need to help you gain insight into how this problem was created in the first place. THRIVE is one of the best and most successful programmes in the world at teaching you the root causes of anxiety and the skills and resources to resolve it. There are a variety of different mechanisms in place that cause a person to create anxiety. Among them are self-esteem, social anxiety, your beliefs, thinking styles, character traits, etc. THRIVE is an evidence based psychological training program that offers you a permanent resolution to your problems, letting you live a life free from anxiety and it’s symptoms. Along with resolving your anxiety, all other problems that were associated with these psychological factors will disappear as well, leaving you more in control of your life in general. THRIVE gives you the map and the resources to get out and to never again fall into the mental traps that created your anxiety in the first place. Having suffered from anxiety on and off for over 10 years, and tried many different ways to battle it, like cognitive behaviour therapy and medication. I can honestly say the thrive programme I took with Alison, is the best. It provides you with techniques and skills to over come any (yes ANY!) problems that you may have now or face in the future. Highly recommended. I found the sessions very helpful, being able to ask questions and clarify any points in the book I was unsure about. It was very useful to get an objective viewpoint – particularly on the personality type exercise. The Thrive book and accompanying sessions have been a huge help in enabling me to think much more positively about myself and life in general. I now feel much calmer and in control in situations I would have previously felt anxious about – i.e. flying, giving presentations. My nail biting habit, which I had for well over 20 years, has virtually disappeared. Tania was very good at putting me at ease, meaning I felt comfortable to talk about what was on my mind and ask questions. Items provided (chevreul’s pendulum + cube vs pebble) helped me understand key points more easily. During a brief break from traditional psychotherapy, a process I had been engaged in for over a year, I was restlessly trawling through Amazon one day when I happened across and downloaded Thrive onto my Kindle. Although willing to try, I wasn’t convinced of its claims and didn’t expect to finish it, after having started hundreds of self help books over the years in the hope of finding some kind of external answer to my anxiety, blushing and tendency to ruminate over the past and to have a general default setting of low level anxiety and emptiness. After getting through about 3/4s of the book and thinking there was something in it I decided to try the programme with a Thrive consultant and got in touch with Danny Nuttall, a Bath based therapist. I’m very pleased that I did. After my first session with Danny I ended the psychotherapy process with my other therapist and committed fully to the Thrive programme. Danny supported me through some challenging and rewarding exercise but also some real epiphanies and moments in which I had to admit to myself that change was not impossible after all and that the answers were much more straightforward than I would have previously been able to admit to myself. With the help of Danny to reinforce these insights and to discuss the many new things I was becoming aware of within myself and in my potential as a person, I was soon able to leave behind the troubles that I had allowed to limit me for as long as I can remember. Not only am I able to disengage from worries and mental pain easily but I am also able to look back over my life so far and to see very clearly where I have gone wrong. I don’t hate my old self anymore, I just see her as person who was victim to a lot of irrational thinking and who lived in an imaginary world of her own projections, only mistakenly seeing herself through the eyes of all- powerful others. I see things in a totally different way now and I only wish that I had done the Thrive program years ago. I won’t be shelling out for long term psychotherapy anymore, a process that I felt out of control of where the therapist seems to have some special knowledge that you will one day see after going through all of your painful memories for an indefinite period of time and at an indefinite rate of expense. Thrive isn’t like that. Danny told me it would take about 5-6 sessions to get me thriving, however, after my third I was doing really well and I only needed 4 in the end. I was impressed that he was honest and didn’t just stretch it out for his own gain. I really felt like Danny believed in me and he is living proof that Thrive works. I would recommend Thrive, and Danny as a Thrive consultant, to anyone who wanted to learn about viewing themselves and their lives in the most useful way possible, and about how to be free of life limiting beliefs and fears. You only get one life and when you see things from the correct perspective and give yourself permission to be happy you will feel such a sense of relief and freedom that there will be no stopping you from Thriving. Participating in the Thrive programme empowered me to deal with anxiety and mild depression effectively. When I initially started the programme, I felt low, overwhelmed and that my levels of anxiety were unmanageable. As this was a problem that I felt I had had for quite some time, I wanted something that would help me manage this long-term, rather than go on medication for a few months with the possibility of finding myself back at square one as soon as I finished. Thrive was exactly that. Thanks to what I learned through Thrive, I now feel that I have the ability to manage my levels of stress and anxiety by effectively dealing with my negative thought processes. I am no longer overcome by feelings of negativity, and when I do start to feel negative I know that I can stop these negative thoughts from getting the better of me, something which I would have struggled with previously. I would highly recommend the Thrive programme to anyone who wishes to make a significant change in their life and who wishes to make that change in a self-empowering way. I originally came across this book when seeking help from a local hypnotherapist (a qualified `Thrive` therapist) in regards to anxiety, depression and mainly just not feeling very happy for a long period of time. I was dubious that a book could do anything to help me when my hypnotherapist suggested it to me. However something told me to go for it and I started to work through the book in my own time over a period of 6 weeks. During these 6 weeks I also had 1 hour sessions once a week from my Thrive Therapist. I contacted Helen after seeing a small add in the local link magazine and nervously attend my first appointment in Stortford. I didn’t know it at the time but this was the point where my life would go through an unbelievable change! I attended after feeling depressed, anxious and upset about my weight and failed attempts to loose it. I started with Hypno analysis for the first few sessions and though I struggled with this in the beginning I felt comfortable and happy to be moving forward. I then began the Thrive programme and this was simply amazing! Within the first few chapters and attending regular sessions with Helen each week I felt my confidence building, my anxiety and low self esteem dissipating and my understanding of how I had been limiting my own belief in myself changing. I learnt about how and why I made certain choices and the sometimes negative effect this had on me. I began to grow in confidence both in my appearance and my ability to achieve my goals. Helen with the help of the Thrive programme has helped me to work out how to change my life, the way I feel about me, increase my self esteem and believe I can achieve what I want when I want. As she said in a word I am “thriving”. I cannot recommend Helen and the Thrive programme highly enough for anyone from all walks of life. Life Changing!!!!!! I would like to say a massive thank you to Jane and the Thrive Program for helping me turn my life around. I had been creating anxiety on and off for many years and was at an all time low when I turned to Jane for help. She was absolutely wonderful and immediately put my mind at ease. I was initially very sceptical about the sessions and the book, but within a week I started feeling a lot more confident that I could change my beliefs. This progress continued and it has now been several weeks since I finished the program and I can honestly say I feel like a different person. I would recommend this program to anyone with problems that prevent them from leading the life the want to lead. I have learnt so much about myself and am confident that I will never encounter the same limiting beliefs that I had when first met Jane ever again. Thank you so much. I found my sessions with Stephen life changing, the thing I enjoyed the most was the relief of the anxiety and managing my thoughts positively. The difference that the treatment has made to my life is that I stay calm! Look at life positively! Make the most of my time! Treat people around me kinder! Stephen has been an amazing friend to me and changed my life forever! I found Thrive at a difficult and vulnerable time in my life. I had a bad fall which resulted in arthritis and suffered with depression and anxiety. My therapist and the workbook were amazing. I have experience in psychology counselling, social work and education and basically felt I should know what to do. I understood the theories but emotionally I was unable to put them into practice. Thrive changed this. I not only enjoyed the exercies and reading material but found by practice, visualisation, looking at positives instead of negatives I was able to change the very limiting belief systems which were crushing my emthusiasm for life. I looked forward to the learning experience offered in each and every chapter and friends and family were advising me that I not only seemed better psychologically but physically. Without even consciously thinking about it, I was walking with less pain, managing stairs better and losing weight. By changing my belief systems and being positive about my future my emotional health was improving and having an impact on my physical wellbeing. I would highly recommend this book to others and certainly recommend it to those who work in the field of care, be it with children, older people or those who are mentally or physically challeged. The book offers a wonderful insight into who you are as a person and how your interations with others impacts on their emotional wellbeing.I am thriving thanks to Rob Kelly and his wonderful book. “Every day in every way I am making my life better and better”. I first experienced anxiety as a young girl and over the years I’ve tried to deal with it, but to no avail. There’s been occasions where anxiety has ruled my life and ruined my relationships. It wasn’t until I met you and you explained the Thrive program, that I realised I had a chance to resolve my issues. Not by someone listening to my problems but by me changing the way I think about things that usually bother me. When I came to see you for the first time & you explained Thrive to me, I was at a point in my life where I really wanted to make the changes, so was prepared to put the work in that’s involved. I found the Thrive programme challenging, insightful and fun. Some sections even seemed like they were written about me! The author and therapists involved with Thrive, really know what they’re talking about and you steered me along the right path in achieving my ultimate goal. Which was to regain my self esteem, be happy and not be scared of people judging me. The pace of the program was set by me and what I could do each week. I made a real effort to complete the tasks and follow what the book suggests and found within very little time, as I completed the questionnaires & tasks, that I was starting to feel better about myself & the relationships I have with people close to me. Completing the tasks in the book rather than ignoring them is a vital part of the program. By doing them, I created my own evidence which helped me change the way I was thinking but also proved the guidance in the programme to be right and so I believed in Thrive more & more. I started to realise that positive outcomes, really do come from positive thoughts. It didn’t take long before my self esteem started to increase and as it did, other areas of my life started to fall into place. I’ve learnt so much about myself and how to stop myself feeling anxious & manage my thinking if a hiccup in my day/life occurs. It’s not something someone can solely teach you, you have to learn it yourself by creating your own evidence by completing the tasks. As I learnt this, I realised that anxiety is just a name for a feeling you create inside yourself by not getting perspective on whatever you are thinking about. I really didn’t believe at the beginning of the course that I’d manage to reduce my LOC score down so low, but I did and when you achieve that, it’s proof to spur you on further to continue thinking the way you’re thinking. Thank you so much for you’re help with the program, it was invaluable and I’m continuing to use the tools I’ve learnt every day. See you in September. Thanks for your help..I have improved beyond what i expected..Not had any anxiety since i last saw you and although i have had the occasional hot flush i have managed to ignore it and not let it develop into an episode. The Thrive Programme changed everything for me! I would recommend this book to ANYONE who suffers from a phobia, from anxiety, depression, low self-esteem, low self-confidence, stress, hypochondria, and SO MANY OTHER things. It’s even been proven to be succesful with cancer patients and those suffering other debilitating illnesses! I implore you to give Thrive a try. It will change how you think, how you understand yourself, how you handle situations and how you behave. 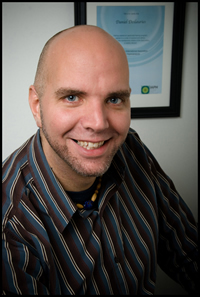 With Rob’s unique, non-patronising way of communicating with his readers, he makes you explore your mind, exercise your mind and establish a strong sense of self. You can adapt the programme to anything in your mind/life you know is holding you back – from smoking to being overweight or lacking in confidence. “I came to Clare looking for support in managing an increasingly debilitating fear of driving onto slip roads, which made me feel inadequate and foolish. I think I was expecting to be told of some pre- existing fear linked to a bad driving experience which would bring about a ‘light bulb’ moment after which I would be ‘cured’. I was not expecting at this point for this process to become life changing! Clare has supported me in recognising the roots and triggers of my anxiety about driving, which has enabled me to deal with feeling uncomfortable, but doing it anyway, safe in the knowledge that it is ME that makes me feel uncomfortable and ME that can sort it out! This journey has been about so much more than driving- and has been so much more far reaching than just helping me to drive with more confidence. This journey has been empowering and life changing. I feel more in control in social situations and at work and I know that my choices will dictate what happens next. The Thrive programme is perfect for those of us who know that we carry ‘baggage’ that may have affected the choices we have made in the past, but are ready to move forward, acknowledging what has happened and then moving on with confidence and conviction. Having not felt myself after a virus and a long period of coping with a stressful situation, I then started to develop horrifying thoughts, which quickly flooded my mind to the point where I couldn’t sleep, socialise or work. Worried I was developing a serious mental illness and felt I could lose control at anytime, I contacted Alison, as I needed help urgently. The alternative was months off work waiting to see an NHS therapist. Assured I wasn’t losing my mind, Alison recommended the ‘Thrive’ programme and diagnosed anxiety along with obsessional thoughts. Alison is very calm, non-judgemental and an excellent communicator. Within a couple of weeks, Alison had helped me to use the techniques in the book to divert my thoughts/unhelpful thinking styles and concentrate on positive achievements/thoughts, in turn lowering my anxiety. This gave me the confidence to go back to work very quickly and take control of my life. I am absolutely thrilled with the speed of my recovery and although I still have the odd wobble, I am able to deal with these effectively and quickly and am now living a full, healthy and happy life. I am also using the techniques learnt in other areas of my life to good effect, improving my all round confidence. Doing the Thrive programme with Alison has been an eye opening experience. It was only once we began working through the book Thrive that I realised just how negative towards myself I could be, and what a detrimental impact this was having on my self esteem and confidence. In just a few short weeks, I have gone from dreading any kind of social activities to embracing them and enjoying them with open arms. Whilst flying has never really bothered me, I have always disliked busy airports, but having been skiing recently I can now say that they truly no longer bother me. It is also such a relief to no longer be afraid to go to the local supermarket for the food shop. Before meeting Alison I hadn’t set foot in a large supermarket for a couple of months as the bright lights, noises and sheer amount of people and produce was overload for my brain and I couldn’t deal with it all. Now, I don’t even think twice about going into a supermarket to get my food, and I no longer notice the bright lights and hundreds of items available for purchasing. I hope that other people with fears, phobias and anxieties would think about doing the Thrive programme because it was truly changed my life. It was good to have someone to talk to who understood me and could help me improve my situation. I am now free to enjoy activities without fear or anxiety stopping me. I enjoyed every minute, it’s been worth every penny. Thank you so much Claire! Rob Kelly’s THRIVE technique is brilliant. I am a musician and creative arts therapist working in private practice with children with autism and other special needs. I went to see Rob in February this year, feeling very anxious and depressed and in a lot of physical pain. I had convinced myself (and my doctor) that another course of anti-depressants was all that was between me and total break down. Rob listened calmly to my string of woes, told me I didn’t need anti-depressants but that I just needed to manage my thinking better. He showed me how I had a high external locus of control (scoring 11/30), and linked this to my appalling scores for self esteem (13/20) and my high social anxiety (14/20). After one session, I ditched the pills and started working through the THRIVE manual. Within a month I found myself agreeing to give a talk on autism at Rob’s annual IAPH conference and accepting an invitation to Estonia to co present two autism training days and give a talk about my work at the North Eastern Estonian Autism Society annual conference. (I was very anxious about public speaking and hated flying!) Both events were highly successful and great fun. I even found myself reassuring a nervous passenger on the plane and was the first person on the dance floor at Rob’s conference! I have lowered my THRIVE scores to 5 for Locus of Control, 4 for Social anxiety and 3 for Self Esteem and I am no longer crippled by the fear of long term pain or anxiety about the future. I am currently training as a THRIVE consultant and have been encouraging all my friends to read the book. One of my ambitions is to develop ways of enabling children with special needs to access the THRIVE techniques. This treatment has been fantastic. I didn’t believe it at first as I was constantly worrying and anxiety was getting me down. Now I am not longer doing anxiety! I loved coming on a Monday to see Claire, I felt relaxed with her. On my first session I felt different after leaving the room. I felt ‘normal’ within myself. I have learnt how to manage my thinking and to cope with situations better. Would definitely recommend Claire to a friend or to anyone who is suffering and letting anxiety take over their life, put a stop to it now and go to see Claire, worth the money all day long. I am 33 years old and recently visited Melanie to take part in the Thrive programme. For a number of years I had struggled with stress due to juggling a high pressure job in London, a young family and the loss of my mother. These pressures left me feeling exhausted, anxious and low in confidence. Over a 5 week period I worked through the thrive programme with Melanie on a weekly basis. I can safely say it was amazing and after just one session I could already see the benefits and felt a weight lifted off my shoulders. The thrive programme really makes you realise the unhelpful thinking styles that we all have and that dictate the way we think and feel. Melanie made me realise the negative thinking styles that I had and over the following weeks I learnt how to stop them and replace them with a more positive and helpful thought process. The beauty of the thrive programme really is that deep down it is so simple. The main thing is to learn about ourselves and how we feel and think. Once we know this, it is easy to change the negative points to positives. I learnt that the way I was feeling was being created by myself and was not simply something that happens beyond our control. 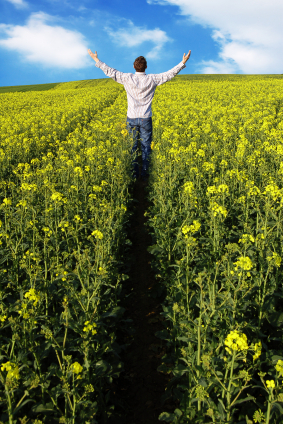 I now feel completely in control of my life which has got rid of my anxieties and raised my self-esteem and confidence. My working and family life has benefited no end from the thrive programme and I would recommend it to anyone. I had severe social phobia since I was 11 up until 6 months ago when I bought ‘Thrive’ (I am now 36.) This manifested itself as intense and unprovoked blushing, crippling self doubt and an absolute fear of school and being amongst my peers. I would cry everyday going to school up until the age of 18 and would have constant anxiety and palpitations and I really don’t exaggerate when i say I felt traumatised just living everyday. This continued though university where I would only socialise if I could be drunk or the venue was dark so no one would notice me. Over the years I have seen maybe a dozen different councillors, therapists, hypnotherapists, Chinese herbalists and have been prescribed everything from Beta blockers to anti depressants and I’ve also read A LOT of self help books. Nothing worked although things got moderately better once my working life began and I was exposed to more situations. But when I say ‘moderately’ I mean instead of my fear being 10/10 it was maybe 9.5/10. I had resigned myself to feeling that this was my lot in life as by now my brain had been so hard wired into thinking certain ways that no therapist was ever going to ‘reach me.’ But every now and again in the vague hope of finding a solution I’d search online for any books, CDs or courses that would be my miracle cure. So one night about 6 months ago I typed ‘best book for anxiety’ into Amazon and ‘Thrive’ came up with an almost 100% 5* rating. I was very sceptical and thought the reviews must have been written by Rob Kelly’s friends or current clients. But then I thought ‘but where are all the bad reviews too?’ If this book wasn’t all it was cracked up to be then there would be just as many bad reviews. So I decided to buy it and it has changed the course of my life. I realised the most fundamental thing was that in all my years of therapy I was searching for someone to ‘fix’ me but this book teaches you to fix yourself. I was utterly convinced that my brain was somehow abnormal and wired incorrectly and I needed specialist treatment or medicine. But I realised with ‘Thrive’ you have to be READY to do the work YOURSELF. Again, if someone had said there was a book with little work sheets to do and self affirmation exercises I’d have said ‘I’ve done it all before and it’s not going to work.’ But there is something deeply powerful about this book as it presents the most fundamental steps to dealing with your problems. It’s like being re-built and re-educated into thinking positively and I assure you it works. You have to really want it and do all the exercises and I am still astonished to this day at how your mind can be rewired into thinking rationally. I now am so much happier and grateful for everything I have and feel much more confident. I can’t remember the last time I blushed for no reason and before this I blushed several times a day EVERY day. Don’t get me wrong I still have a way to go as I still have self doubts but I know now how to recognise them and turn them around. There is no hocus pocus in this book and no psycho babble, just simple undeniable advice. I can’t recommend this book enough. Don’t buy it and think just reading it will solve your problems, you have to do the exercises and really want to change and put the effort in but if you do the benefits are enormous. I don’t know if you remember me, I saw you around autumn-time last year, you suggested I would benefit from doing the ‘thrive’ programme, which I did for six weeks. Thought I’d drop you a line to tell you how I’m getting on. Well, good news! I’ve got myself a full-time permanent job. At one time I wouldn’t have even considered applying as would have considered it too challenging and beyond my capability! – Had to do 3 practical exercises, 15 mins for each (setting up a device, observation test and a role play) followed by a ten minute presentation and finally the interview itself. A truly insightful book that helped me to do what years of counselling and numerous other self-help books couldn’t. The Thrive workbook helped me gain perspective and take control of my life. I no longer suffer from anxiety and low self-esteem because I finally have self-insight and have overcome my limiting beliefs. I highly recommend this book to anyone looking to solve their problems. Thrive gives you everything you need to know to change your life for the better! I found my sessions very interesting and insightful. I enjoyed the examples Claire gave such as chevreuls pendulum. I always left my sessions feeling revived and positive. The sessions have made a huge difference to my life. I now feel less anxious, less stressed and less plagued by negative, unwanted thoughts. On starting the course I realised I had scored very highly 24/30 on the locus of control quiz and very highly on low self esteem, social anxiety and all of the thinking styles. Because I now recognise this, I am able to change my thinking and stop myself from brooding about things I have no control over and that are unhelpful for me to brood about. I now feel much happier, less anxious and stressed and more relaxed about life in general. The course helped me with my obsessive symptoms that I realised I was just doing for control, to try and control how I was thinking and what I thought would happen in the future. I have now stopped these OCD symptoms (counting, touching things x 3) because I understand why I was doing it and that doing it now has no effect on my day. I thought it would be difficult to stop this but it took just a few days when I understood my thinking. For as long as I could remember I had a fear of flying and a fear of heights. As I got older it got progressively worse until the point that I struggled driving over low bridges and when visiting the Taj Mahal in India I couldn’t wait in queue on top of the one storey central building as there was no end barrier. I travel from Dundee to Belfast regularly by flight and I used to get uptight and anxious for around three days prior to flying and a day afterward. Although I always got on the plane, traveling was such a horrific feeling and my quality of life was just horrendous. This fear was limiting my life and impacting on my family as if we were to drive somewhere I had to avoid bridges or minor mountains (on honeymoon we couldn’t go to universal studios in LA as it was too high up), so I researched Stephen’s clinic and asked my wife to buy me sessions as a Christmas gift. This was the best Christmas gift I could get. Prior to going to Stephen Chan my exposure to hypnosis was guys in pubs being made to dance like a chicken. I thought Stephen would put me in a trance, click his fingers and my fear would go. Thankfully this wasn’t the case. I learnt, through the Thrive programme that Stephen employs, that the route of my fear was my negative thinking and that I had the control to change it. As I’ve been relatively successful professionally I never though low self-confidence was an issue for me, but through working with Stephen I was able to build my self-esteem and realise that I have control of my FORMER phobia and it doesn’t have control of me. This has been a very empowering realization. My first flight was two days ago. I used the techniques I learnt from my sessions to stay calm and relaxed traveling to the airport and when flying. I went from someone grasping the handrests praying the plane would land to someone who was so relaxed that I fell asleep on the flight. I’m looking forward to my next!!! I recommend Stephen to anyone who is not living the life they wish they could live. My work at Stephen’s practice has not only resolved my anxieties about heights and flying but has helped me transfer the techniques I’ve learnt to my hectic life of balancing my family, medicine, my diet, exercise and wellbeing and above all my formerly high levels of stress. I have read this book twice over now and will continue to read over and over. It was given to my sister (who has been recently diagnosed with epilepsy) and I happened to pick it up and have a read… Well I don’t know where I would be now if I hadn’t!! This book has helped me to successfully battle stress, anxiety, living in the past and my negative outlook on life. I wake up every morning excited and happy to start the day now! Life is no longer the drag it was for me only 6 months ago! I have read LOTS and LOTS of self-help books all promising various things but largely failing to deliver. This is so much more than a self-help book. As far as I’m concerned it’s a manual for life. I’ve only read through it once (quickly – I couldn’t put it down!) and I already feel different – less anxious, more optimistic, and I know my worth. I feel excited for the first time in ages. Goodness knows what will happen when I read through it again slowly and do all the exercises! Well, actually, I think I do know what will happen. Watch out world! This time last year I was in bits with severe depression and anxiety. Reading this book made realise how I got myself into that situation, and how to stop it from happening again. Don’t hesitate to buy this wonderful book.